Asperger’s Syndrome, or AS, is a pervasive developmental disorder that is generally considered the highest-functioning level of the autism spectrum. Although it affects millions of people around the world, there is still relatively little known about Asperger’s; the disorder was not even discovered or named until the 1940’s, and it only became a widely accepted diagnosis in the 1980’s. Although many people with Asperger’s Syndrome are able to work steadily and support themselves, others are too limited by their disorder. The severe difficulties with communication and interaction that are associated with this disorder can be a significant hindrance on the job market. People whose Asperger’s Syndrome is severe enough to prevent them from earning above a certain amount per month may be eligible for disability benefits from the Social Security Administration. These benefits can allow people with this disorder to live independent lives, rather than being reliant on family members or even institutionalized for their entire adult lives. Unfortunately there are many obstacles to overcome when applying for benefits. Asperger’s Syndrome can be difficult to definitively prove in court, since there are no simple lab tests to diagnose it. Many people with this disorder have to apply multiple times before they are granted the benefits they need. 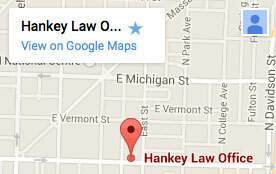 To speak with a knowledgeable Indianapolis disability lawyer, contact the Hankey Law Office at 800-520-3633 today.